Urban Decay Naked Petite Heat palette - do you need it? When I first saw photos of the Urban Decay Naked Petite Heat palette, my first thought was "Ah it's fierce similar to the Naked Heat, and yet I must have it" and added it to my wish list of things I was going to buy in the airport when I go away because the terms and conditions of a spending ban is that you're allowed to buy things in duty free. I don't make the rules. Then they very generously sent it to me and I have a free space on my list now so any duty free recommendations are greatly appreciated! 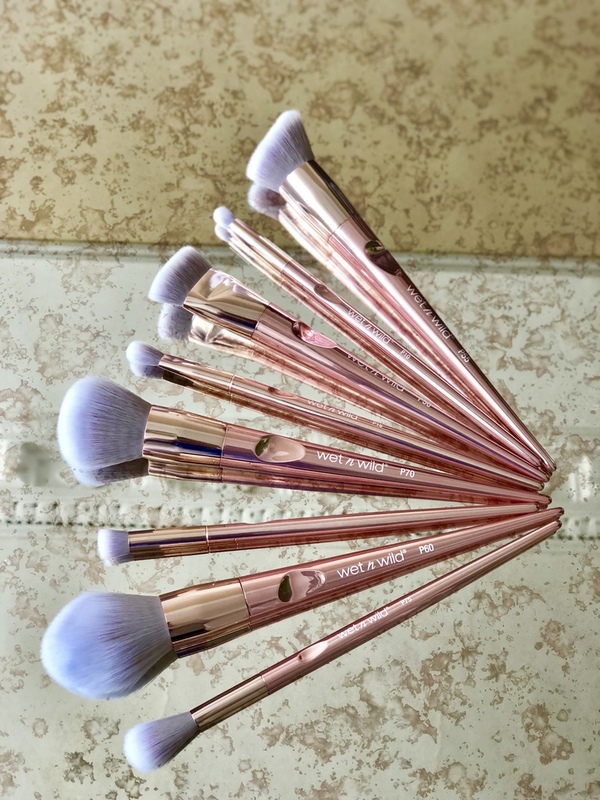 I wanted this post to be a review/comparison of the Petite Heat and the Naked Heat and show you exactly what you're getting for your €32. This is the palette in all its glory. Isn't she cute? It houses six new shades inspired by the Naked Heat and a grand sized mirror with no wasted space on a brush I'd most likely lose. There are five mattes and one demi-matte, and shade wise, there's not a dud in the bunch. There's minimal fall out when I stick a fluffy brush into the shades and on application itself, there's not a speck of fall out. The shades are buttery soft, they blend easily and as you'll see in the swatches below, pack a punch in terms of colour pay off. But how does it compare to its Mammy, the Naked Heat? I swatched each shade in the Petite Heat palette and picked out the closest shade I could find in the Naked Heat, so you can decide for yourself as to whether its different enough or not. On the left we have Inhale (Petite Heat) vs Ounce (Naked Heat) and you can see they're pretty close, but not identical. Inhale is ever so slightly peachier and warmer compared to Ounce, but if truth be told, if nobody told me they were different swatches I don't think I'd be able to tell the difference. Next up is Vibrate (Petite Heat) vs Chaser (Naked Heat). These are slightly different and you should be able to see that Vibrate is warmer and peachier than Chaser, can you see a theme developing? Vibrate also seems to be a bit more pigmented too. Third on the hit list is Hot Spell (Petite Heat) vs Sauced (Naked Heat) and while they're identical in colour payoff, Hot Spell is warmer and peachier, but only slightly. Both are buttery soft and make a lovely transition shade in the crease, but I'd be hard pressed to see an obvious difference between them to be honest. On to my favourite shade of the Petite Heat palette, Wild Thing and the closest shade to it in the Naked Heat Palette is He Devil, but you can see that the colours are completely different. Wild thing is bright and in your face and I love it! Next up is Heist (Petite Heat) vs Cayenne and once again, you'll see that Heist is warmer and peachier than Cayenne, but only slightly. They've the same colour payoff and the same formula and I love them both. Probably because they're so similar! And finally we're comparing Strike (Petite Heat) to Ashes (Naked Heat). Ashes is definitely cooler than Strike but has a near identical formula. I prefer Strike as I'm fond of all things warm. 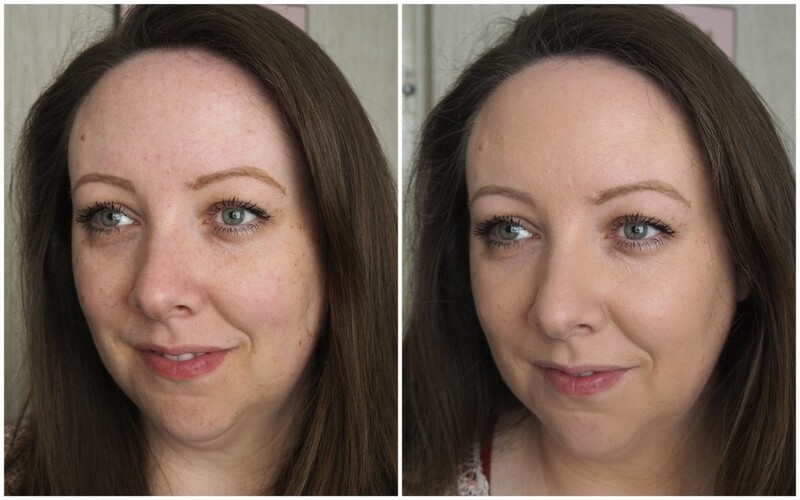 Next I wanted to see if I could use some of the colours in each palette to create a similar look on both of my eyes, so in the photos below, I used the Petite Heat on the left and the Naked Heat on the right. I think the only obvious difference is the use of the orange shade Wild Thing on the left, but everything else is pretty similar! Which is your favourite look, the right or the left? 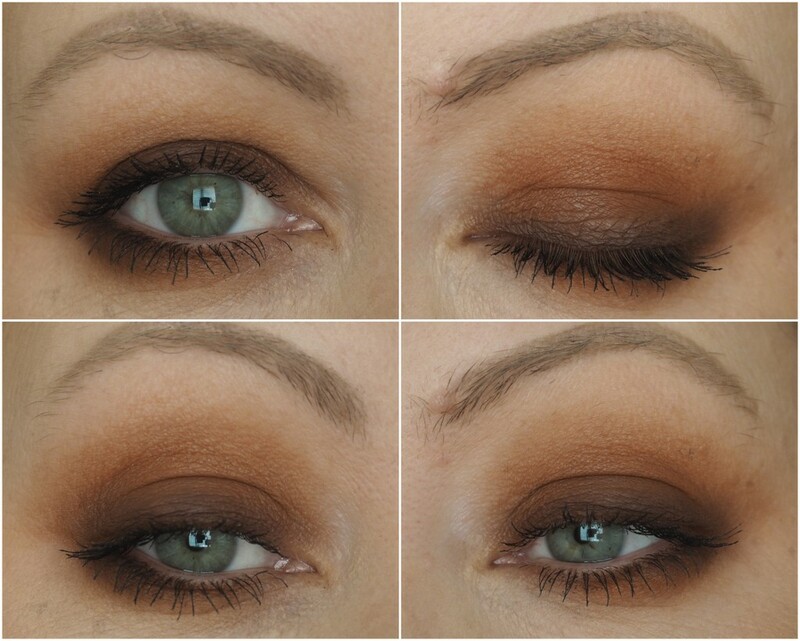 Finally I wanted to try out a smokier look using only the Petite Heat palette and if you have a look at the step by step tutorial in my blog post on the Naked Heat palette, you'll see the finished look is pretty similar again! This is what I was wearing on Instastories on Saturday and I love how green it makes my eyes look. These are my finally thoughts on the Urban Decay Naked Petite Heat palette and I really do feel like I've written an absolute thesis! 1. I prefer it to the Naked Heat palette. I know I'll use every single shade in the palette and because it's so small but still has full sized shadows, I can pop it in my bag easily. 2. 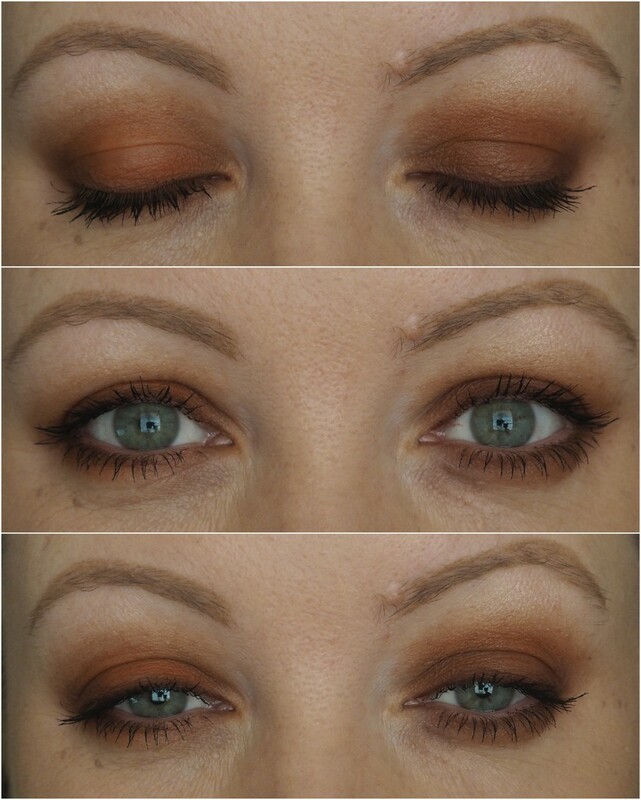 It really is very similar to the Naked Heat palette, with the exception of Wild Thing. 3. If you already have the Naked Heat palette, I don't think you need this. Unless you want slightly warmer shades and Wild Thing. That shade is just beautiful. 4. If you owned neither and were being forced to choose between Petite Heat and Naked Heat, I'd go with Petite Heat. You don't need both. 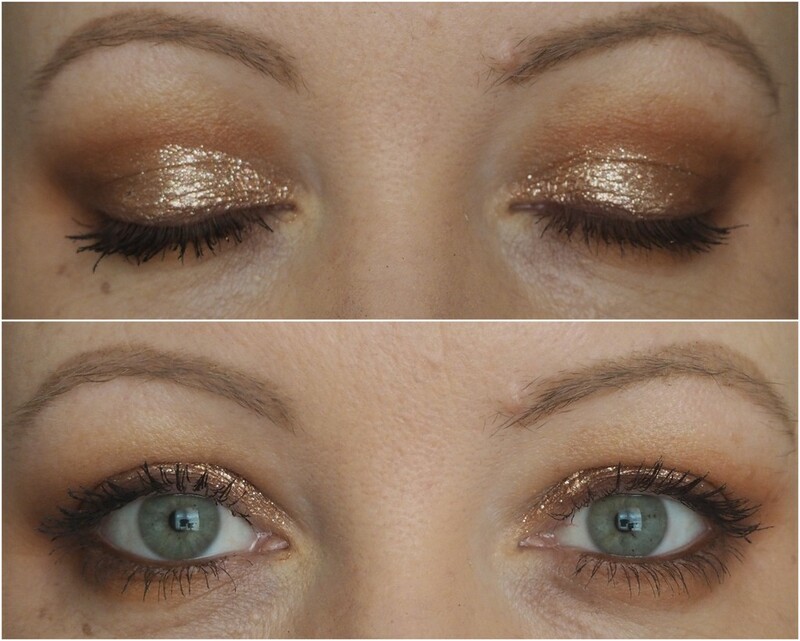 Unless you wanted to have shimmers too, then you'd have to go with Naked Heat. I'm not really helping your decision am I? The Urban Decay Naked Petite Heat palette is out now, is €32 and is coming on holidays with me because I love it a lot. It's me in palette form and my green eyes are very happy with it! Things that I love: When products do extra bits without me even asking them. 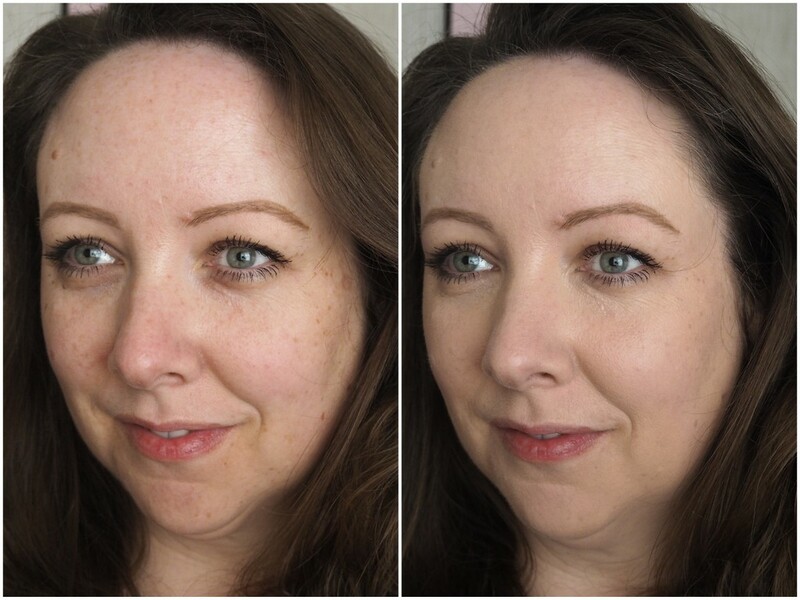 Enter Lancome's Skin Feels Good - a skincare makeup hybrid. And not only does it have skincare in the makeup itself, that skincare promises to benefit the skin the more you use it. 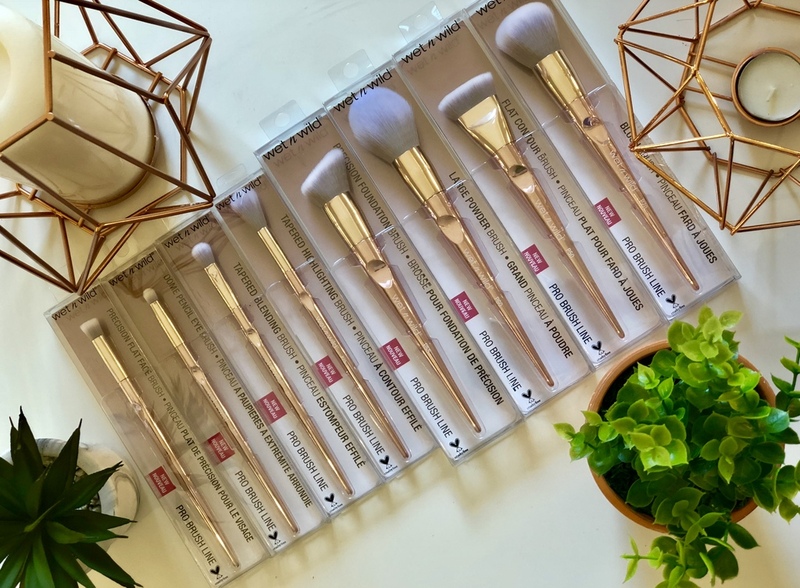 Fans of a lightweight, light to medium coverage foundation and those who love a natural glow are going to want to check this out! Containing vegetable glycerine which replumps the skin, hyaluronic acid to help keep the skin's moisture levels high and moringa, an antioxidant which helps protect the skin, topped off with SPF23, Lancome say that after just five days of continuous use, you'll achieve a radiant healthy glow with skin 50% more moisturised. In the interest of full disclosure, I haven't tried it out for five days straight thanks to the long weekend and a couple of makeup free days, but I'll keep you updated! 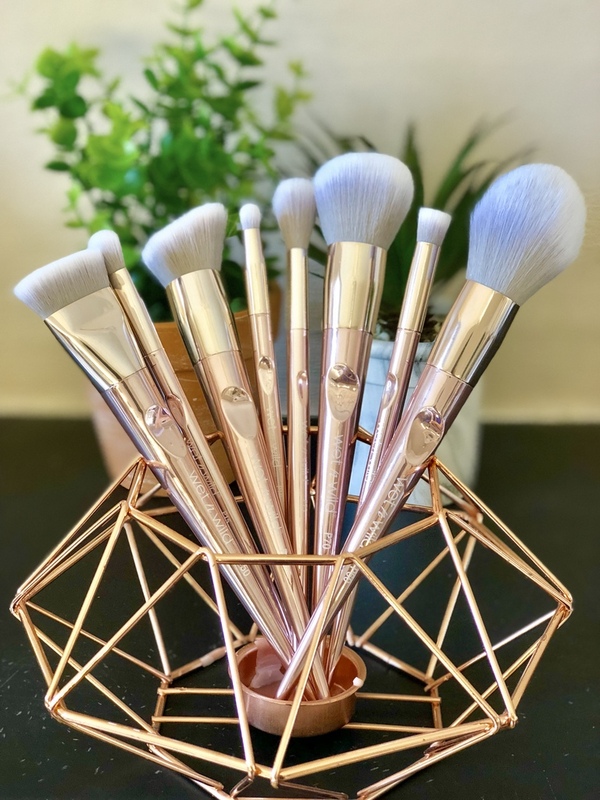 The lightweight texture blends into my skin in seconds and even when I applied it to the back of my hand after first being sent it, I could tell it was going to look amazing on my skin. It had that glow without feeling wet or sticky. The finish is beautiful. If you're a fan of foundations that looks like skin, you're going to love this. 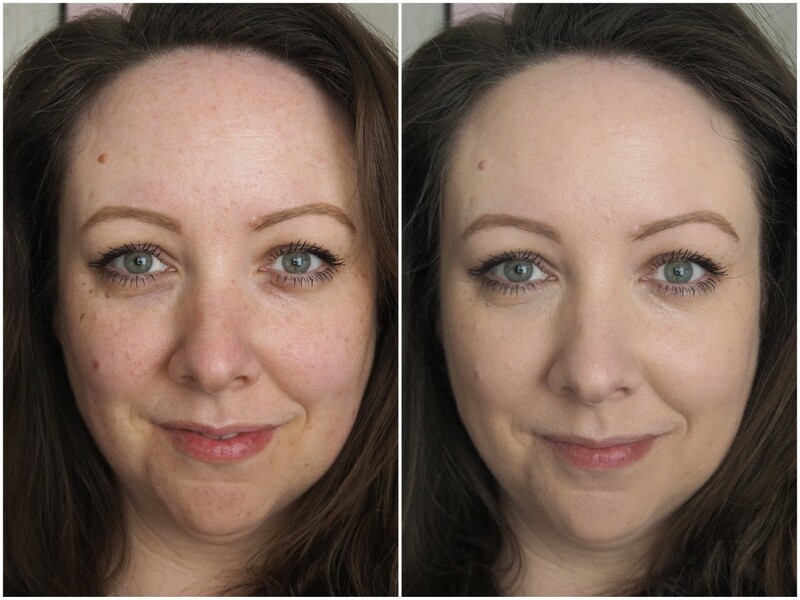 It gives me a light to medium coverage and I can build it to a fuller coverage on my more troublesome bits, but for the purpose of the photos below, they all show what one layer looks like, buffed into the skin with a buffing brush. They haven't been set with powder or have any other product on top of them. I was sent two shades, so thought I'd show them both to you, sure why not? Cool Porcelaine is one of the lightest of the eight shades available and while I haven't tried out all the other shades, it's a really close match to my super pale neck. With both of these shades, I find that they sit like a second skin on me and don't gather in my fine lines and wrinkles. 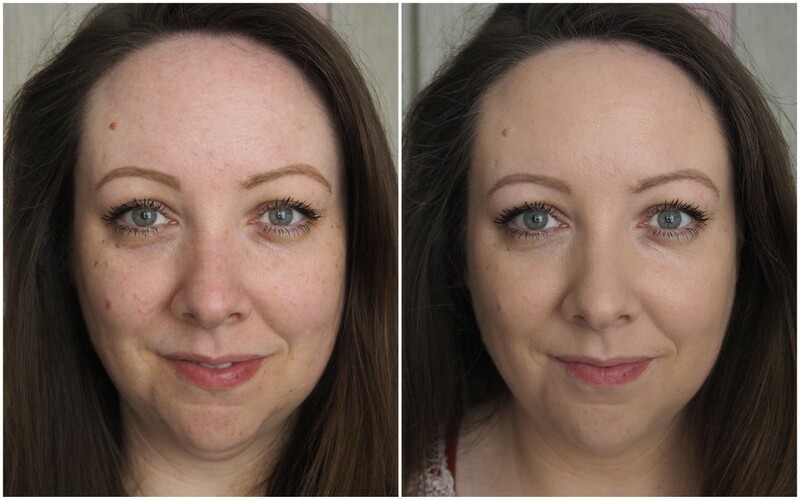 You can see the natural radiance they give and as I've been embracing my skin over the past few years and am loving looking like I'm not wearing makeup, this foundation was made for me! Shade 02C Natural Blonde is slightly darker than Cool Porcelaine and despite it not being a match for my neck, I think it looks better on me, giving me a bit of warmth. So once I blend it down the neck and into the hairline, it looks fabulous! Because I've the aul oily t-zone, I do like to set that part of my face no matter what foundation I'm using and my powder sits beautifully on top of it. But if you've dryer skin, I think your skin will love it too. Maybe even more so! The Lancome Skin Feels Good Foundation comes in eight shades, will set you back €34 and will be available from this month. I'm getting good juju from this foundation lads and unless something drastic happens, I'll be purchasing this again when I run out which will be soon! It's truly gorgeous! You might've noticed that I don't do a lot of haircare on my blog and that's mainly because I'm crap at hair. Actually, let me correct myself, I can do a mean hun bun and can burn plastic bobbins into my hair like nobody's business. Proper hair profesh. Let me start with a bit of background on hair before we get stuck in. I have really silky hair that generally goes flat about an hour after washing. It refuses to hold a style without a load of product and a lot of the time, when I do use all of the products, they weigh my hair down, and again, it ends up looking limp and blah. I got sent the L'Oreal Professional Tecni.Art Rebel Push Up to try and if you've been following me on Instagram and Instastories, you'll probably know what this review is going to say, but I've got more thoughts which is why I didn't want to review it after using it once! The Rebel Push-Up is a texturising powder-in-mousse and I love texturisers in my hair because it needs that grit to stop things from being too silky and shiny. And the idea is that this gives the softness and manageability of a mousse and the texture and durability of a powder. Those are their words and I'd have to agree! What I've been doing is washing the hair and when I apply a medium sized baked potato amount (scientific measurement) into the roots of my hair. And I have a method with that too. I flip my hair over and start with the majority of the product at the back of my head at the roots and then apply approximately half of it there before applying the other half to the roots at the front and sides of my hair so I don't apply too much there. If I've any extra left over, I apply it to the lengths of the hair and if not, I get a bit more because there's no point having bouncy roots and flat ends am I right? I brush it all through and then with my hair still flipped upside down, I blow dry it. Now, the more I've used this, I've found that it's important to brush or comb through the hair when drying because the lengths of my hair can get tangled as the texturising part gets to work. So dry a bit and brush/comb and you'll thank me later. I use my Dyson hairdryer which takes about two minutes to completely dry my hair and when I flip it back over, I'm left with fluffy, bouncy hair, ready to be tamed! The photo above is from the first time I used the Rebel Push Up and you can see the root lift already after the first use! And I've found that the lift stays all day and if I think it's starting to flatten slightly, I brush my hair upside down again and boom, the lift is back. It doesn't weigh down my hair or make it greasy, but it's worth noting that I usually wash my hair every day anyway. I don't find there to be any sticky residue or chalkiness, it just feels like I've a light powder in my hair, but it still looks shiny and I can run my fingers through it easily. This is important if one needs to jujj the hair you know. I wanted to try the Rebel Push-Up in dry hair as well after curling to see how it turned out so over the weekend I got busy. This is me with freshly washed hair and a medium sized baked potato worth of product lashed in there. I used my L'Oreal Steam Pod to do a few loose waves and then flipped the hair upside down again and you guessed it. A medium sized baked potato worth of product went into the hair, this time focusing on the lengths and I brushed out the waves slightly. Now, it gave me tousled wavy hair alright and I loved how it looked, but I think I used too much product in my hair this time. It didn't seem to dry into my hair as invisibly as it does when I use it wet and you can see in the photo below that the ends of my hair look a bit damp, but they weren't. It didn't seem to give my hair any extra oomph, so while I'll try it out again and see if I can make it work, for now, I'm going to stick to using it on wet hair! I absolutely love this stuff and have been using it each and every time I wash my hair which is unheard of for me! Usually I get bored with products but not so with this. I just have to perfect using it with my curls! The Rebel Push Up is €18 and is available now at L'Oreal Professional salons nationwide. It's currently on sale on Look Fantastic (affiliate link) at €12.45!